A large crowd kept following him, …Jesus said to Philip, ‘Where are we to buy bread for these people to eat?’(John 6:1-14). During the holidays, my mother-in-law always seem to make enough food for 5000 people. In the years that we spent Thanksgiving at her home, I have never known her to run out of food. What was most interesting is that in addition to the many invited guests, there was always a steady flow of uninvited guests and an occasional stranger, who just happened to “show up”. Some would sit down to eat and everyone of them left with an extra plate of food (sometimes two or more) in hand as they continued on to wherever they were going when they stopped pass the house. No doubt some of them stopped because they knew she had more than enough food. When her invited guest left we also took food with us. It did not matter how many people came and left with their fill, when the clean up was done she still had enough leftover to “fill twelve baskets.” Initially this was amazing to me but eventually I came to expect this and more deeply respect her and this phenomena around feeding people. In Christ we follow because in him we believe and know there is always enough to fill our needs and often so much more. Thanks be to God! ← It’s Not In The Water! What a blessing and clearly spiritually gifted lady! How amazing to make so many people feel so warm, fed, welcomed, and loved! 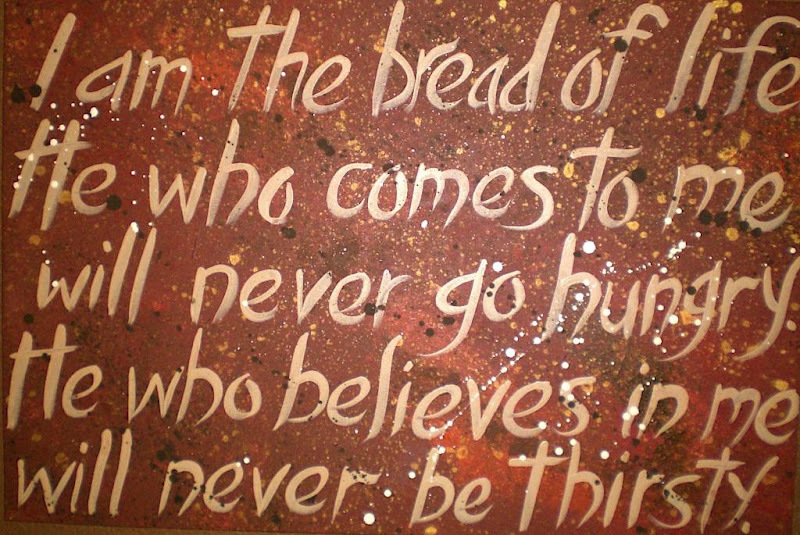 You also have me singing “I am the bread of life” which is one of those songs which get me every time! Blessings! Thank you Martha for your very kind words. God truly has been good to me and I pray that I may continue to bring others into his realm of joy. Peace and Blessings to you.